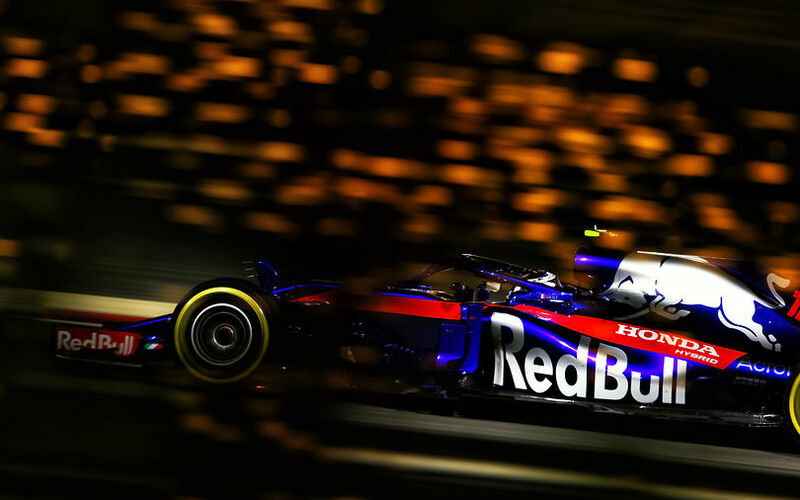 Of the 21 Grand Prix, only eight races have been completed so far in the 2018 Formula One Championship season. Despite to that, several drivers are already facing grid drop penalties for exceeding their allocacation of power unit elements. Drivers are heavily restricted in how many power unit elements they are allowed to use during the season. Since 2014 when the new double hybrid power unit was introduced to the sport, there are strict rules in force regarding the amount of engine elements. On top of that, these rules get tighter with every year passing in a bid to decrease the manufacturing costs and making the sport for smaller team more affordable. Power units are deemed to consist of six separate elements. In 2018, each driver is permitted to use only three ICE, MGU-H and TC, and only two ES, CE and MGU-K during a championship season and any combination of them may be fitted to a car at any one time. Should a driver use more than that during the course of a season, a grid penalty will be imposed. 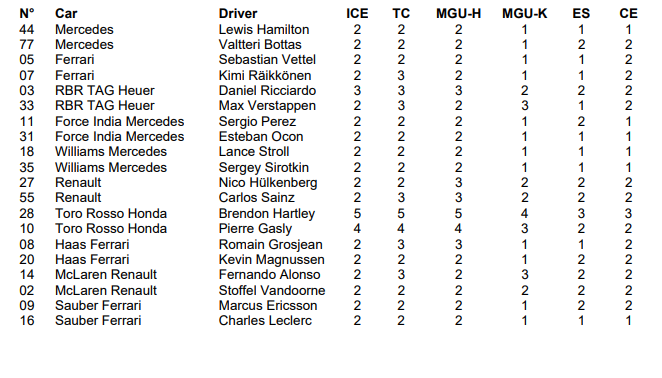 Many drivers have already reached the maximum number of various PU components, some have already passed the limits of the allocation and served grid drop penalties. Among the front runners, Kimi Räikkönen and Daniel Ricciardo are expected to take fresh parts, exceeding the allocations. The Australian is particularly in danger as he has already used his allocation of internal combustion engine, turbocharger and MGU-H. Red Bull have been long assessing its situation and seeking for ways to lessen the negative effect of penalties by picking the optimal race for taking the grid drops. Max Verstappen is also on the verge of penalties after he has already used all of his turbochargers. It is also worth noting that several drivers including Sebastian Vettel and Valtteri Bottas have used two control electronics units which is the maximum amount.